Real time this Tiger Swallowtail female is working furiously to take up the nectar of these Butterflyweed flowers. Her blue splashes on her hindwings are what sold me on this photograph. It’s a great challenge to capture them, considering how much the subject is moving. 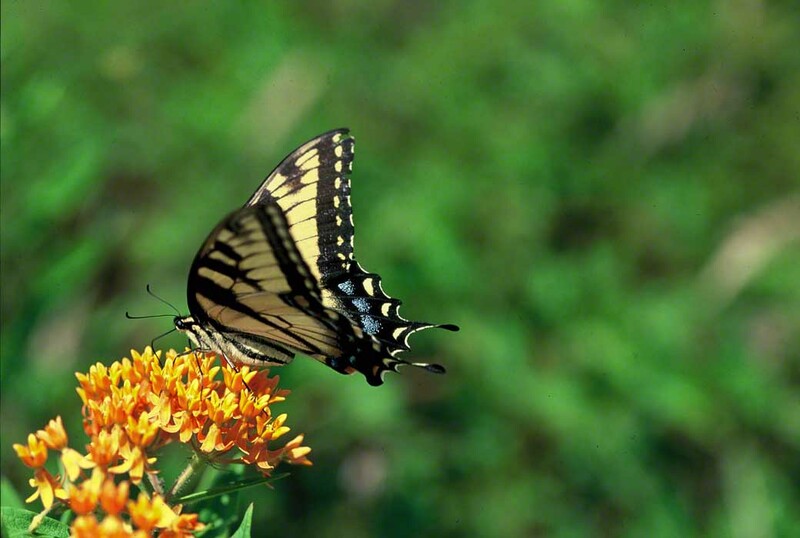 Papilio glaucus is the species name of the Eastern Tiger Swallowtail butterfly. It’s one of our largest butterflies.